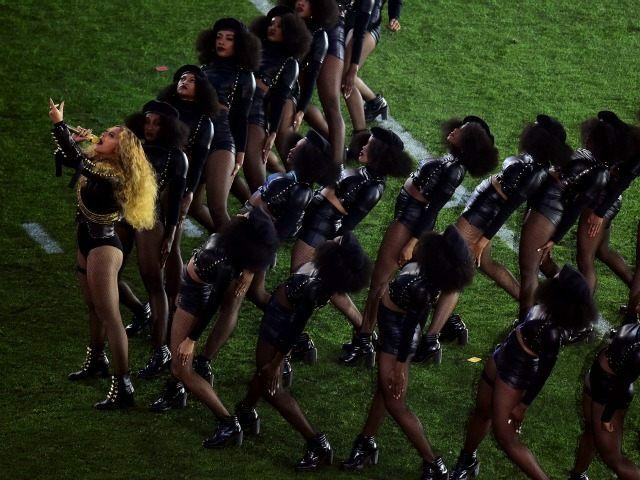 Singer Beyoncé Knowles brought black liberation politics to the Super Bowl halftime show Sunday in a performance that appeared to pay tribute to the Black Panthers. Backed by a cadre of backup dancers sporting Black Panther berets, Beyoncé performed her new single “Formation” in homage to the Black Lives Matter movement. 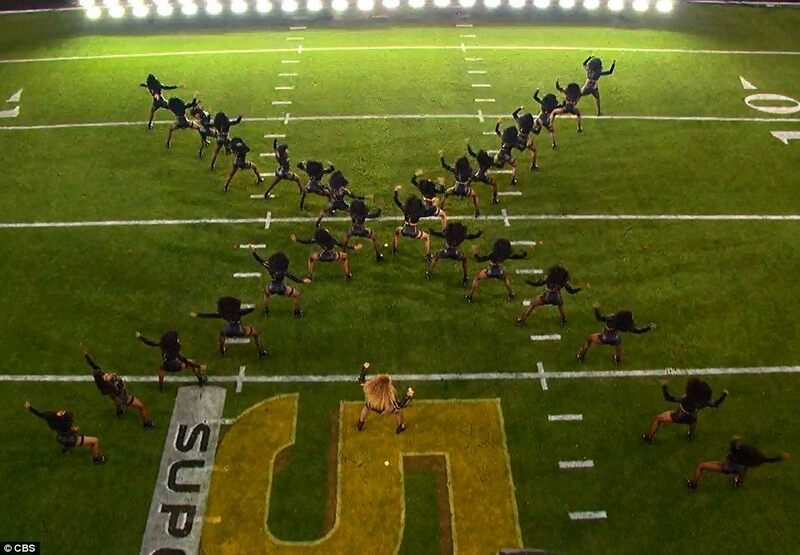 At one point during the performance, the dancers formed an X seemingly in tribute to black Muslim activist Malcolm X and raised their fists in the “black power” salute. 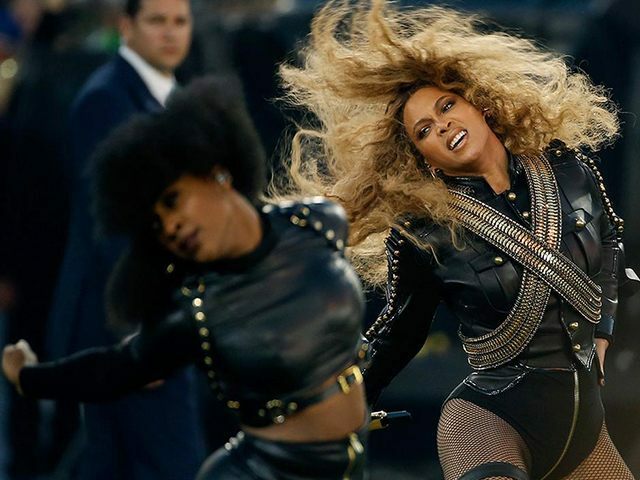 The choreography wasn’t restricted to the football field; the halftime show was part of a marketing plan that put out messaging across multiple platforms, from social media to mainstream media. 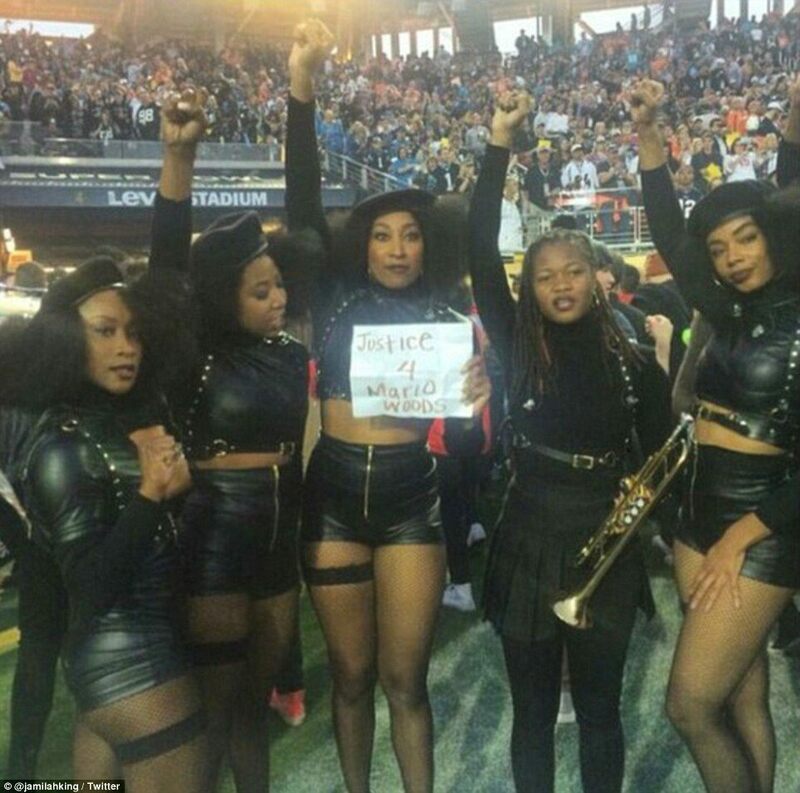 A picture posted to Twitter also showed several of the performance’s backup dancers giving the black power salute while holding a sign reading, “Justice for Mario Woods.” Woods was shot by police after refusing to drop a knife in 2015. It’s the latest move by Knowles and husband Jay-Z to associate themselves with the Black Lives Matter movement. Just last week, Jay-Z announced he was giving $1.5 million from his struggling streaming music service Tidal to the Black Lives Matter movement and other groups. As Breitbart News reported, the video contains sequences involving white police officers harassing young black people, including a shot of graffiti that reads “stop shooting us.” The video also shows Beyoncé lying on a flooded New Orleans police car, in a reference to the Katrina disaster that many blame on George W. Bush. 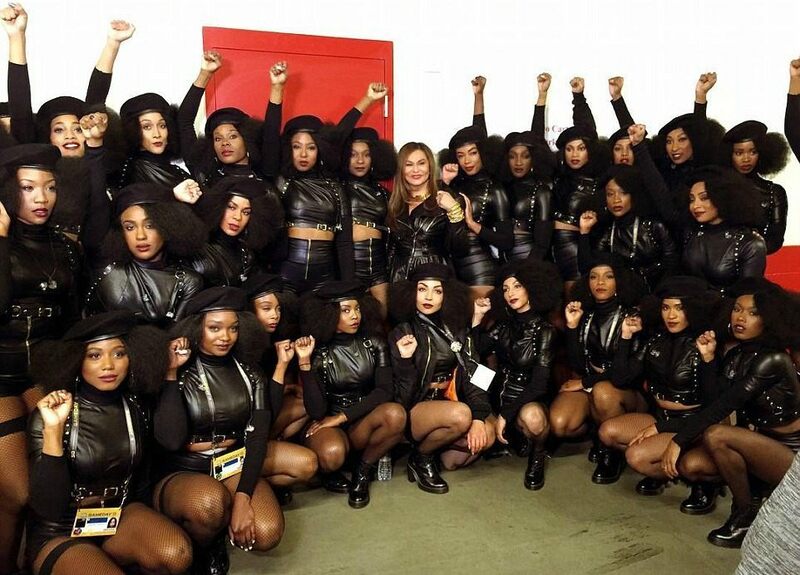 An Instagram photo posted by Beyoncé’s mother Tina Knowles showed the black leather-clad dancers raising clenched fist in a Black Power salute — a powerful mix of iconic imagery guaranteed to grab eyeballs and make headlines. However, in 2016, black people being unashamed of being black is hardly newsworthy. Beyoncé grew up in comfortable middle-class surroundings, in a world created by unapologetically black artist and athletes like James Brown, Richard Pryor, and Muhammad Ali. The irony, of course, is that Beyoncé Knowles and Jay-Z owe their success to the capitalist system the leftist Black Lives Matter movement is intent on destroying. Jay-Z’s story of going from rags to riches is well-known, as he went from being a drug dealer in the projects of New York to becoming an entertainment star and entrepreneur. Beyoncé is the child of a small business owner and a sales manager for Xerox. Both biographies fly in the face of the Black Lives Matter narrative that black people somehow need to be “liberated” from the free market. As Breitbart News has exhaustively shown, the Black Lives Matter movement is merely the latest incarnation of the radical left’s activist community. The revolutionary communist anti-police group pays homage to convicted terrorist Assata Shakur at every event and cites the communist Black Panthers as a key influence. However, both Jay-Z and Beyoncé demonstrated a keen understanding of how to profit from the leftist-created culture wars in the United States. 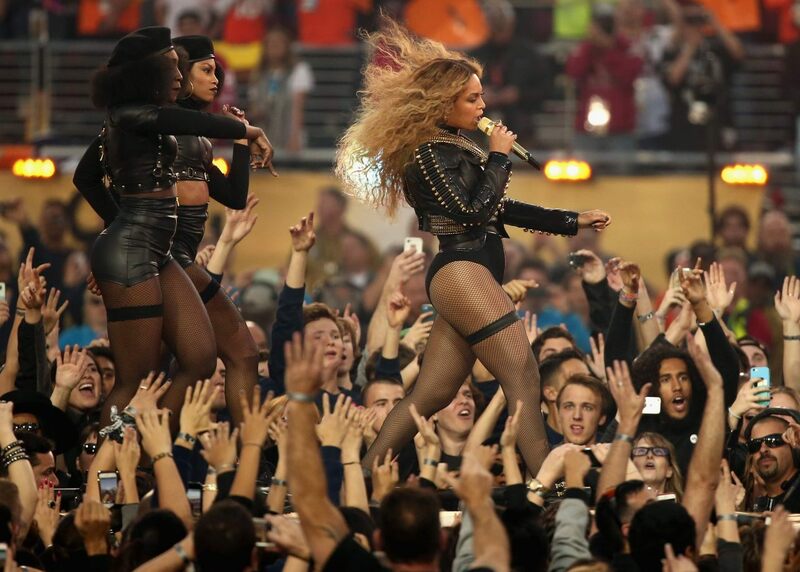 Beyoncé Knowles announced her new “Formation” stadium tour immediately after the performance at the Super Bowl. Presale tickets for the European and American tour go on sale tomorrow.